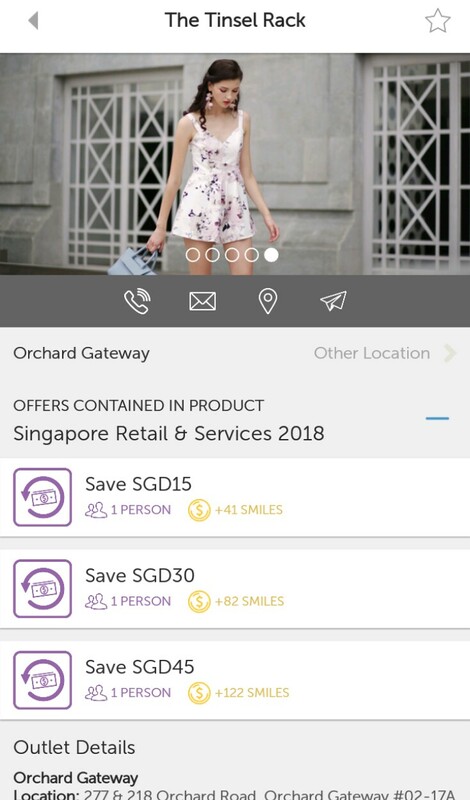 SG Budget Babe: My favourite app to always get 50% off dining and activities, even during peak hours! 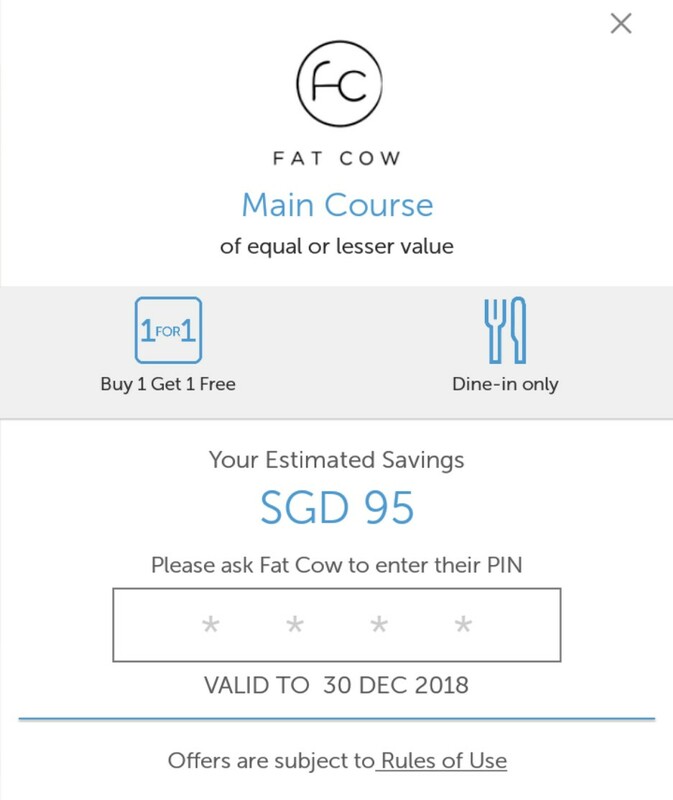 My favourite app to always get 50% off dining and activities, even during peak hours! For those of you who love dining out, what's a good way to save on your dining? By using a cashback credit cash with the highest rate for dining + savings app. 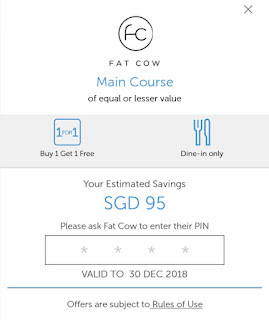 You'll find the respective credit cards with the highest dining cashback rates on the SGBB Cashback App (just tap onto weekday / weekend dining to view the respective rates), although currently BOC Family Card holds the honour of 10%. However, this benefit is capped at $30 - which means you shouldn't exceed $300 in food every month - and provided you also chalk up $700 in monthly spending. On the best savings app for food, eatigo undeniably offers the best value...IF you can dine at the odd, off-peak hours. So while the app is great for those who are self-employed and do not have to stick to regular schedules like most of us corporate slaves, it isn't that fantastic for the rest of us who have schedules to align to. 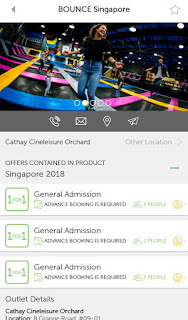 And for those of you who got a copy of The Ultimate Guidebook to the Best Cashback Tools in Singapore which I published earlier this year, you'll be familiar with The Entertainer, which I recommended as the best app for shaving 50% off your dining and activities in Singapore anytime, even during peak hours! 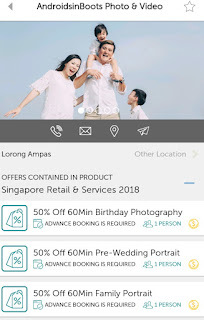 But if you haven’t heard of The Entertainer app before, think of it as an extensive booklet of coupons which gives you 1 for 1 deals on dining, hotels, spas, activities and retail, all within a single place on your mobile. With it, you can get 1-for-1 deals on over 1,700merchants for dining, drinks, hotel bookings, spa sessions and many more. Tip: Remember to combine with your cashback credit card for savings AND cashback! The app may seem a little pricey at first, but you won’t regret it because you only need to go to three nice restaurants in the year (or a single hotel stay) and the savings you get will be more than enough to cover what you paid for the app! There’s an entire range of merchants, including top-notch ones like Jamie’s Italian, Fat Cow, Bedrock Bar & Grill, Wave House Sentosa and more. Mr S is a civil servant while Mrs S is a banker. We've been married for a few years now, and our hobbies are eating, travel and exercising, necessarily in that order! 2. How did you come across The Entertainer app? Mr & Mrs. S: We were planning to visit Fat Cow for a birthday celebration, and a good friend mentioned she had 1-for-1s via the Entertainer app. All we had to do was to download the app, and she pinged us the coupons, which worked out really well for our pocket! 3. What made you purchase the app (especially in contrast to other free dining apps which offer discounts)? There was no looking back after the Fat Cow experience, we wanted to check out the other 1-for-1s and being foodies, this was perfect allowing us to try more places. 4. How much have you saved on The Entertainer in 2017? USD2,521 or SGD3,393! Here's a screenshot from our app. 5. How does The Entertainer app fit into your regular lifestyle as a couple? What do you mostly use it for? Food food food food! And occasionally gym and hotels. Basically it opens up many new possibilities for us to explore, and makes our days more exciting. 6. Other than dining, have you tried any of the other services? We have used it at several boutique gyms - mostly classes where we have tried pilates, aerial yoga..
7. What are some restaurants / services you would recommend on The Entertainer app? 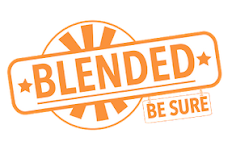 We highly recommend Bedrock Bar and Grill for awesome steak, Poke Lulu and Living Botanica for their drinks! In fact, you would have earned back the cost of the app by just using it at Bedrock once! We also recommend Osteria Art for fine dining, Patisserie G for desserts (these guys take their desserts almost too seriously), any of the high teas offered by the 5 star hotels on the app, Bangkok Jam (their curry fish head is really awesome), Group Therapy for a "chillax and nua" cafe experience, Working Title for their burgers and Mad for Garlic for their garlic-infused pastas and pizzas. Actually there's too much to list! We were really spoilt for choice when rummaging through our memories picking our top eats. For 2018, we are looking forward to using more of the services offered on the app. 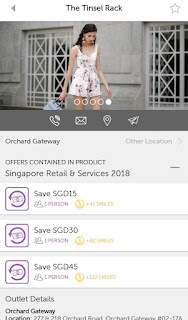 I first reviewed The Entertainer app back in 2015 here when they had 800 merchants (and they’ve doubled that number since), where I had first tried out the free version and redeemed some basic vouchers. I was so blown away by the offers on the app that I immediately upgraded to the paid version afterward just so I could get access to the thousands of 1-for-1 coupons. Simply browse on the app to see the different vouchers per merchant, and head down to the merchant outlet to redeem. What’s more, you get 3 vouchers per merchant, which means you can go back for repeat visits while always paying 50% lower than what their other regular customers are paying! 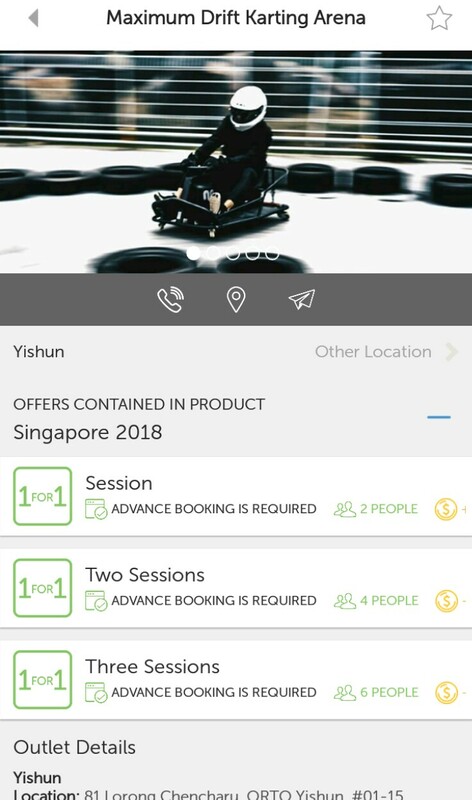 If you’re planning for a hotel staycation whether in Singapore or abroad, you can also pick from their offers which basically allows you to stay for 2 nights while paying only for the price of 1. Hotel partners include InterContinental, Shangri-La, Marriott, Sheraton, Hyatt and more, as well as various hotel resorts and lodges. Couples will also love this app as you get to engage in a myriad of activities that will keep your date nights novel and exciting, while chalking up substantial savings at the same time. 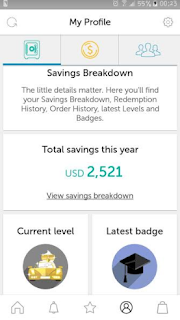 I've been using this app pretty often this year and foresee that we'll be using even more to chalk up the 50% savings. 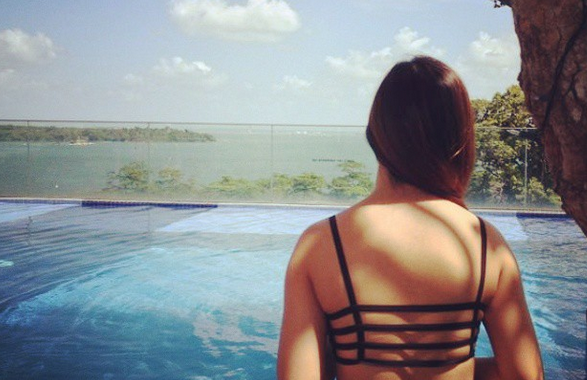 Get a further 10% off with promo code SGBUDGETBABE, which means the app will only cost you $76.50 (i.e. 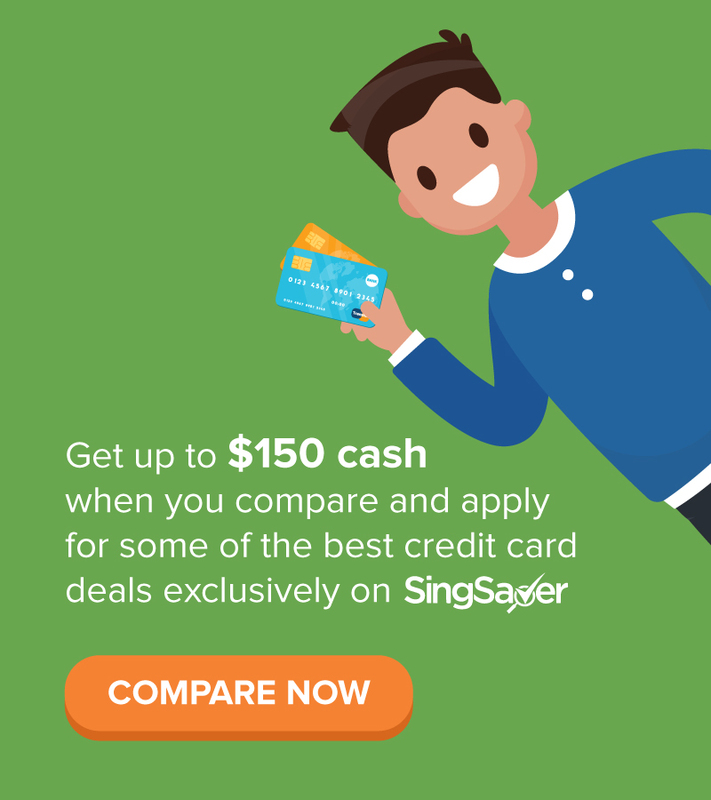 $6.30 a month) for thousands of coupons and much more in savings. 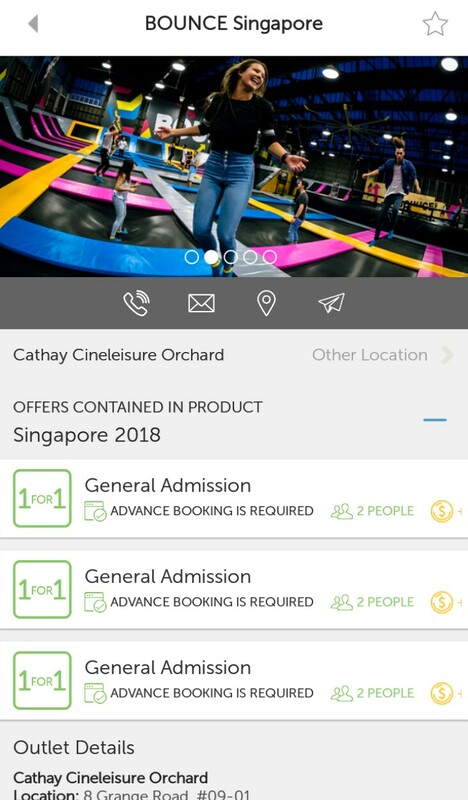 What’s more, you’ll get Cheers Singapore 2018 (1-for-1 drinks across 130 outlets in Singapore) bundled in for free. 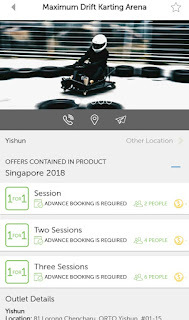 2019 update: Click here to get Singapore 2019 and Johor Bahru 2019 for just $85! What's more, gain access to Cheers Johor Bahru 2019 (1-for-1 drinks) bundled into your purchase for free! 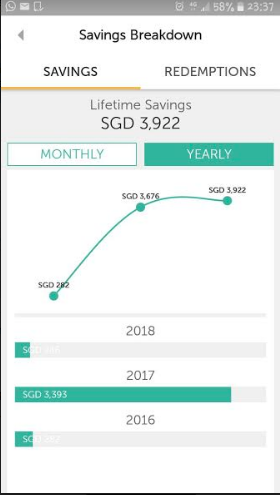 The average savings per member in 2017 was SGD 725, so you can just imagine how much you’ll be saving with The Entertainer app! It's a no-brainer that if you eat out often and visit the merchants on the app (which consists of a wide range), you're definitely going to save more than the cost you paid for the app. Here's another tip: Share The Entertainer app with your friends and family, and split the cost even further that way! Foodies and couples, you won’t want to miss this. is there a list of merchants/outlets under the entertainer app? You can view the entire list by downloading the app to scroll through! and if you like it then you can sign up to unlock the offers :) one of the best savings app for dining out in my phone! Looks like the promo code does not work anymore. "Coupon code SGBB2018 is not valid"
Sorry, my typo! 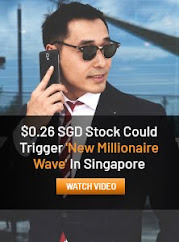 It's SGBUDGETBABE !